Jaya reveals that she’s still waiting for ‘ASAP’ to present concepts before she appears on the show. Queen of Soul Jaya admitted that there is a part of her that still misses her mother, the late comedienne Elizabeth Ramsey. “Yeah I really miss her because now is really the time when I wanted her to be with me. Marami kaming puwedeng gawin sa pagbabago ko ngayon,” she said during a recent pocket press conference. Despite that, Jaya is certain that her mother would have supported her decision to transfer to ABS-CBN. “So talagang feeling ko nagtutumalon ‘yun sa itaas dahil ‘yung mga kinulit niya sa akin noon parang ngayon lang nangyayari for me,” she said. Turns out that it was the older Ramsey who has long been pushing her to make the big jump. “Si Mama talaga ‘yung dati, dati, dati pa na makulit na ‘Dai kelan ka mag ABS, dai?’ [Tapos sasabihin ko] ‘Eh hindi nga puwedeng mag-ABS kasi GMA nga di ba?’ So siya ‘yung laging makulit,” she revealed. Her mother even told her of her earlier days as a Kapamilya. “Kasi ang kwento niya, ‘Dai nagsimula ako sa ABS.’ Meron silang show noon eh na comedy. So doon daw talaga siya nagsimula so kailangan daw talaga nandoon na ko,” she shared about her mother’s late ‘50s variety show Student Canteen where she emerged as one of the winners of its singing contests. The “Wala Na Bang Pag-ibig” singer recalled that this conversation happened before her mom got sick. Elizabeth passed away in her sleep just last year. Meanwhile, it may be recalled Jaya made her being a Kapamilya official after appearing on It’s Showtime almost three weeks ago. Now, she’s part of the show’s Tawag ng Tanghalan segment as a member of the panel of judges. Jaya said that as of the moment, she is only set to appear on the noontime show. But how about appearing on the Sunday variety show ASAP? “To join ASAP soon? We’re waiting for them. Parang may niluluto sila eh,” she said. “I think we’re just waiting for them to present kung ano ang gagawin namin talaga. And from there, we’ll let everybody know. Nagpo-post naman ako lagi,” she ended. 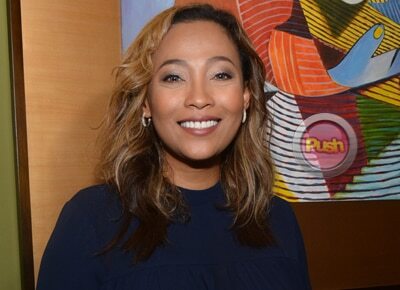 While she was noncommittal about appearing on ASAP, Jaya unabashedly confessed that she hopes to be able to do a Maalaala Mo Kaya episode now that she is in the Kapamilya network.